While developing our game Journey to Hammerdale we have faced a problem of built-in Game Maker level edtior to be very limited in it's abilities, thus began to search for alternatives. We needed a very simple and handy map editor that would support multiple layers (and manipulations over them). A matching one was found quite fast - Tiled Map Editor. It's capabilities were fully covering our needs and so a loader for ones map format was done in Game Maker. Apart from actual tiles, Tiled allows to place object, and assign properties to objects and layers around the map. Support for this functionality was also added to loader. For example, in map properties level name and background color were defined. In object properties - instance-specific variables like saw's movement speed. Support for horizontal and vertical mirroring of tiles was also added in, along with layer transparency. You can use it as alternative room editor for GM. Process is simple, though still requires a couple of actions. First you need to draw your map in Tiled. Map can be of any size, and contain any number of objects and/or layers. Also you can add custom properties to map, layers, and objects (property handling is described below). Then launch Tiled2GMConverter, and select your map in it. File will be processed and saved as a .lvl. 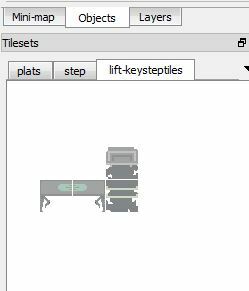 The last thing to do is to open TiledLoader in Game Maker and configure it - add your objects, and if needed, property handlers. Map loading is done from Create event of object o_controller. here you specify filename, in which map is saved. In script define_objects you need to setup your objects (with same order as in objects-tileset). Un-recognized objects will be displayed as special object type o_not_defined, which looks like a black circle with red-cross in the middle. Script check_property does handling of map and layer properties. As an example, map property bgcolor is handled, which defines background color, and name, which defines window title. For layers, depth property is handled, which defines depth (draw order) for layer. If depth of layer is not defined, it is set to 10000. View properties can be configured in the end of load_room script, via command room_set_view. Property handling of object properties is done in Create event of objects. As an example, a single property is handled for o_skeleton and several properties are handled for o_doctor. Important: Tileset images must be placed in tilesets folder, while loaded maps must be placed in maps folder. Cursor control keys can be used for scrolling map in the example. Objects must be drawn via 'object tile' instrument - other types of objects are not supported. Tile rotation (90,270 degrees) is not supported. If you have found an error, or have suggestions, send me a message. Use contact form (select Dmi7ry) or write in this topic. http://www.mapeditor.org - Tiled map editor. http://j2h.ru - Devlog of our game "Journey To Hammerdale". Thanks to YellowAfterlife for translation. Edited by dmitry.nsk, 14 September 2012 - 03:52 AM. Forgive me for my bad English. If you notice an error in my messages, programs, etc., please send me a message about it. My name is Markus and I approve this post. In previous version only maps with 32*32 tile size supported. Fixed. Now any size. Edited by dmitry.nsk, 28 November 2012 - 02:20 PM. Has anyone managed to get this working in studio? I'm thinking to give it a try, could be very useful to use Tiled exported map. Since in GM Studio the room.gmx files are in XML format, you could possibly make the tool convert and export them to those. That will work in HTML5 too. converter from .tmx to room.gmx already maked, but now I dont have time for finishing it. Sorry. It is free hosting. Now it have problems for two next days. After two days site will be available. Edited by dmitry.nsk, 04 June 2013 - 05:32 PM. I installed and tested this. I set to uncompressed base64 in Tiled settings - but Tiled2GMConverter.exe gives a parsing error and says it is wrong format - it needs base64 (yet that is what it is!). I also tried base64 gzip & base64 zlib - and again the same parsing error message. Is this perhaps incompatible with the newest version of Tiled? Can you give me your map? OK - I had to set it in Map/Map Properties rather/as well as in Edit/Preferences. That got the map converting OK. BUT - GM studio won't load the .lvl - says it can't find it. I tested with my level and the example level. GMS has some bugs and this version of the converter doesn't work correctly now. Edited by dmitry.nsk, 06 June 2013 - 07:39 AM. Hopefully the GMS problems will be corrected at some point, you have done great work with this converter! Edited by John4300, 15 June 2013 - 11:00 PM. This seems great and Tiled is a huge improvement over GM's room editor. But is a long delay in making the room normal? 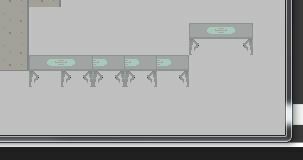 I've barely started tiling my level and it seems to take a lil over 20 seconds for the room to appear when I run the game. Am I doing something wrong? No. In my code its working very fast. What size of a map and what size of tiles do you use? Can you show your code? Show what code? I imported the Loader code from the example file and made the necessary changes to objects and screen size..
Thing is the example takes 9 seconds for the map to appear which is a bit much too so I'm not sure it's just my game. I don't know what it could be. Yes, your map has too many tiles. In such a case, creating room to be slow. There are several solutions to this problem. FULL script compilation, aiming to provide a 10x speed increase to game code and logic. Cross platform support for Windows, Mac, iOS and Android. P.S. In general, the size of a tile map and hints at the wrong architecture of the application (or it really is an exceptional case, for example, the game is done under the extra-low screen resolution screens like the old phone - but then you need to optimize a lot, starting with the exception of use to store 64 bit Data Format). The easiest way that you use some sort of a more optimal format for this purpose. Edited by dmitry.nsk, 22 June 2013 - 03:02 PM. What I don't get is your example room takes 9 seconds to load up on my laptop and that's not even a massive amount. My laptop isn't ancient. Certainly should be fine for running an 8-bit style 2D game anyways. Also my overlay tilesheets don't seem to have their transparent colour removed in the GM game as they do in Tiled. Not sure why. Game Maker Studio 1.2 isn't really an option for me. I can't afford the current version. I'm still on 8.1 and I haven't seen anything in the current GMS to be worth 'upgrading' for. the easiest way for you as an artist - is to increase the size of the tiles and thereby reduce the size of the map. For example, make a tile size 32 * 32. Then the overall size of the map will be about 65 * 52 tiles. And it will be built much faster, even if you increase the number of layers. I do not have time now, but I'll try to find time during the next week or two. Edited by dmitry.nsk, 23 June 2013 - 05:05 AM. Increasing the tile size is not possible. These tiles were designed to have a lot of flexibility in usage (for example I have very customisable organic clouds and things like wooden panels get used for doors, crates, fences, roofs) and 32x32 is just too huge (especially since it's wide pixel a 32x32 would actually look 64x32 on screen). Also this is a project designed to eventually be put on the real 8 bit machine that it simulates (I'm making the 'prototype' in Game Maker to so show the 8-bit coder exactly how it's intending to look and play) and it was decided that 4x8 tiles are best for various reasons including memory. Lots and lots of combinations of the tiles without much impact on RAM (it's a 64k computer). Thanks for the offer but the maps are nowhere near complete. I stopped making them when I found they take far too long for the game to display from Tiled maps. I'm not really sure what to do now. Feels like this project has stalled because yet again Game Maker is incredibly insufficient in it's level creation. For now until I decide what can be done I suppose I can just use placeholder block tiles in the room editor to get the general level layouts done so I can code the rest of the game and then later on either use Tiled to create the detailed tiled maps or have to spend the next year or two using GM's room editor to do it. Ok. For this 'PC version' I've decided to with 8x16 versions of the most commonly set tile combinations as a 'base layer' using the 4x8 version of the tilesheet for manual details (such as extra rocks and the very organic clouds). Collision objects are created automatically reading for the 8x16's. And various tiled props such as doors, wardrobes and such have a bunch of tile_add commands in their create events so they automatically lay their necessary tiles which saves me a lot of work. This compromise between 8x16 and 4x8 and the automatic and manual laying of tiles will have to do for me for now. Thanks for the help anyways. Edited by Carnivac, 26 June 2013 - 04:17 PM. So are many people successfully using this work-around to combine Tiled with Game Maker: Studio? I recently purchased GM Studio and I'm discovering there are some limitations of the inbuilt map builder/editor. I can see that Tiled has some useful features and could be better. Is there something like this for Game Maker 7 on the Mac? У вас естъ версию Tiled 2GM для Macintosh? Hi. I didn't work with GM 7 and I don't know what restrictions at it in comparison with GM 8 therefore I don't know, whether it is possible to make GM 7 support. I am looking at maybe using your converter. I have GM Studio and I see you mentioned a while back that it doesn't work so well with GM Studio. Is that still the case? Even when creating my own one, I have exported from Tiled and its just not picking up in my project. Where do i put all these files? Thanks! they were already included in the Included Files upon loading the .gmz, but the appdata link did it. That's made it load. I got an error message though, thought you should know its actually Line 48 though, as 47 is your commented debug message. I deleted them from the Included Folders file in GM Studio, then manually added them again by using Create Included File. It works now. I'll leave this error message here though in case someone has the same problem. Edited by Kian, 26 November 2013 - 10:55 AM. Now it's just coming up with a blank screen. No compile or runner error messages. I'm just getting the default grey blank screen. I ran it in Debug mode and no instances are running except o_controller. Its just an edited version of your example. If you need the .tmx file, let me know. I don't know what you done there, but thanks dmitry. Wow, now I feel stupid. 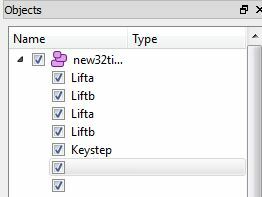 Thats my Tiled editor set up, lift and keystep in a tileset and the object layer list. This is how it looks on the Tiled map grid. and this is how it looks when i run the game in GM. Edited by Kian, 28 November 2013 - 05:29 PM. Given any thought to open sourcing this? Solutions for Visual Studio 2010. Or just see code in "Form1.cs". Code is not very good - it was my first introduction to XML. Looks interesting, is this still being worked on? Edited by Jexie, 02 October 2014 - 05:54 PM. I am developing a game, learning GM as I go. Hi guys.. Being new to getting into GMStudio proper now !! Does this work with Studio now ?? Is there any problems to be aware of, and is there a video tutorial on this ? Sorry if some/all have been answered, but there are some oldish posts and I'd like an upto date reply on this.. I'd like an update too. I don't even know what to download, there's a dozen of "edits" and "corrections" and whatnot.